Black LED downlights often referred to as ceiling spotlights are a great way to bath any room in ambient light while giving your home or hotel room a clean elegant look. When used correctly downlights can be used to light an entire room, or used to highlight various pieces of artwork hanging on your walls. Saves You Money. LED downlights use less electricity than halogen lights, which in turn saves your money on your energy bill. Using black LED downlights throughout your home or hotel can result in significant savings every year. LED lights are also longer lasting resulting in less money spent on light bulbs. Requires Less Maintenance- LED light bulbs have a longer life than other types of light bulbs requiring less maintenance since you spend less time changing your light bulbs. Reduced CO2 Emissions- Since LED ceiling spotlights use less electricity than other ceiling spotlights they are reduce CO2 emissions, which is better for the environment. Won’t Fade Furniture or Artwork- Black LED downlights are cooler than halogen spotlights so they won’t fade your furniture or artwork as quickly as halogen downlights. There are several reasons why we here at Ultra Beam Lighting should be your choice when you want to put black LED downlights here in your home. For starters our lighting comes in unique designs that we design ourselves which will add to the elegance in your home. We also use the latest LED technology in our top quality products, which results in our LED bulbs lasting 20,000 hours or roughly 20 times longer than halogen bulbs. Our Lights also come with a 3 year guarantee. 3 Watt LED Downlights for lighting recessed cabinets. This type of lighting is not only only perfect for kitchen cabinets, but also works well for recessed curio cabinets as well. 9 watt lighting for general home and commercial use. 5 watt downlight fittings that are designed to replace older halogen downlights for those people who want to upgrade their lighting and save on energy. 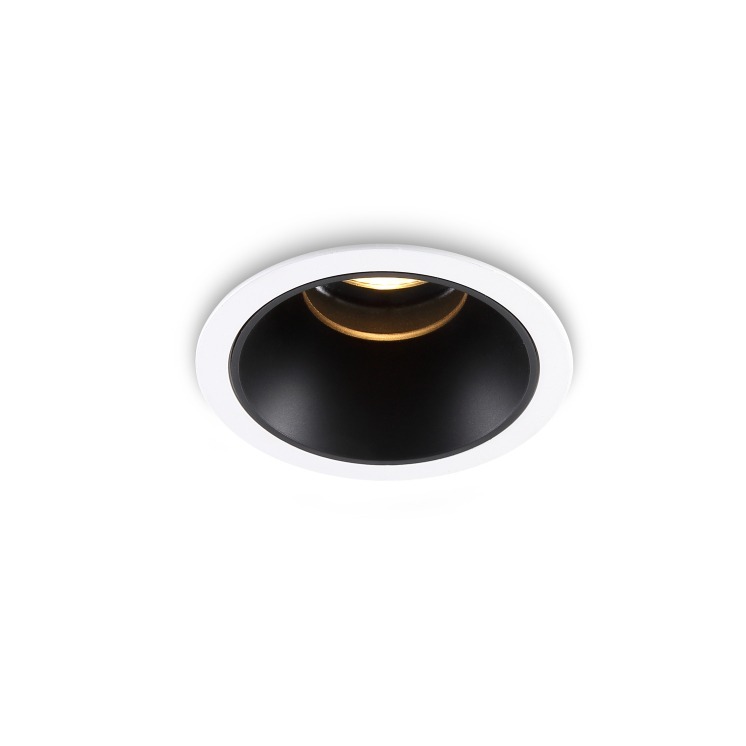 To learn more about our black LED downlights take a bit of time to browse through the website and select the right style and type of lights for you. If you are considering have black Led downlighting installed in your home, make sure you have your lighting installed by a licensed electrician. If you have any questions regarding any of our lighting then give us a call at 0800-678-5158.